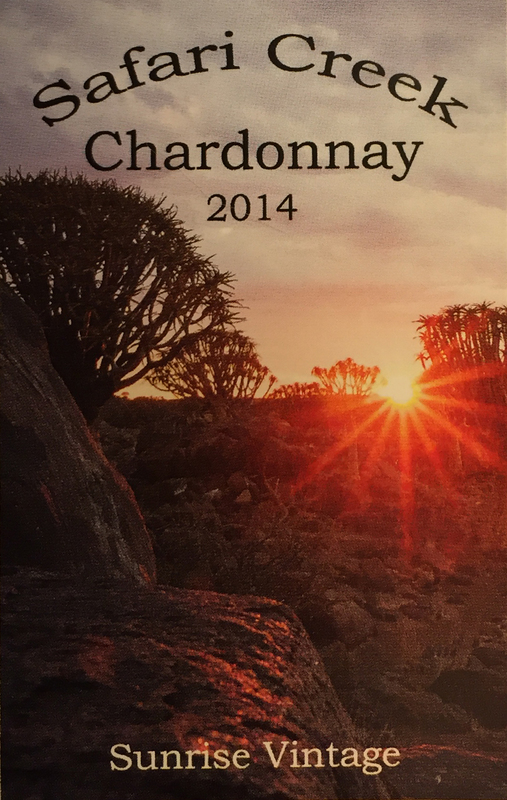 LABEL: Our very first vintage had to represent a beginning so we choose a Namibia sunrise on a uniquely Namibian original tree, the Quiver Tree; named the national plant of Namibia. The photo was taken in the Quiver Tree forest in Southern Namibia during our winter 2015 trip to the Kalahari. 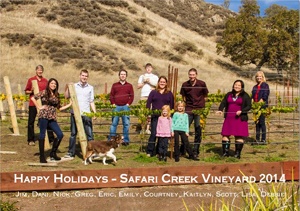 To further acknowledge our first year we decided our new vineyard should be the background for our 2014 Christmas Card photo!!! 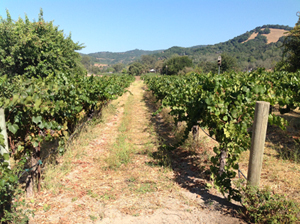 Waiting 3 to 4 years to make our first vintage was not an option. 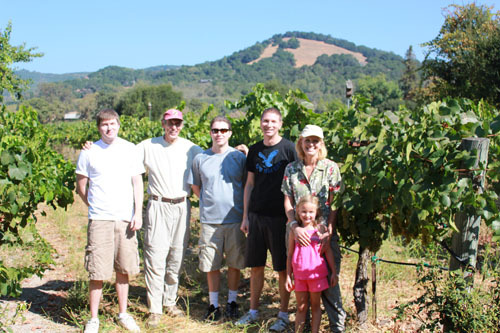 So we went to a Sonoma vineyard on September 7th(after two delayed pick dates) and picked 650 pounds.....a family event. 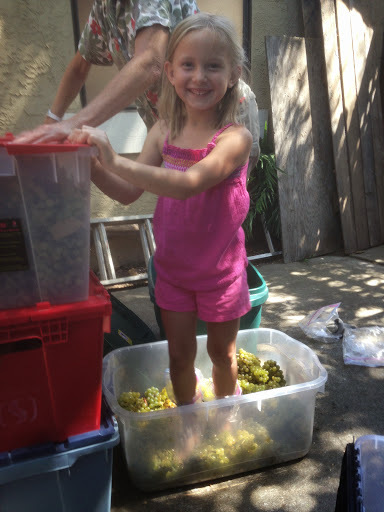 Grape picking is a LOT of fun...try it, you will like it!!! 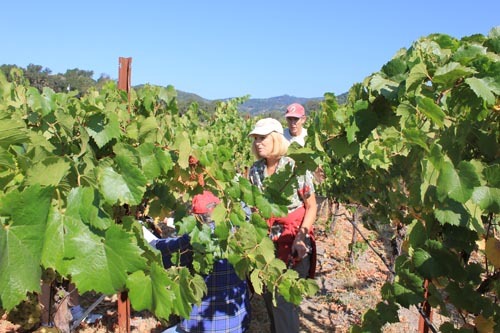 The postponed pick dates were the result of a cooler end to the summer of 2014, thus resulting in lower sugar levels than required for healthy wine. So we had to wait a couple extra weeks until the sugar levels got to an appropriate level. 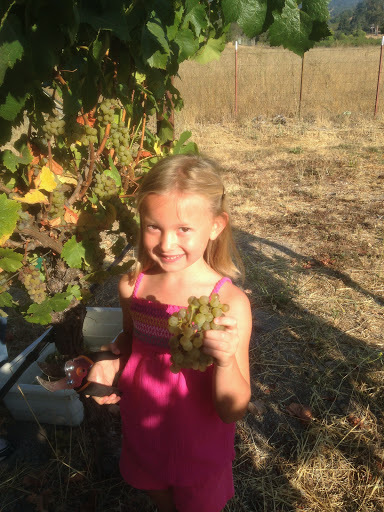 Lessons learned for when Safari Creek vineyard is ready for its first harvest. When we got back home it was time to press. But pressing did not work....NO juice. Did I mention it was our first time? SO if it worked on an "I Love Lucy" show it must be the technique to use. STOMPing did work....then press and into the fermentation tank. 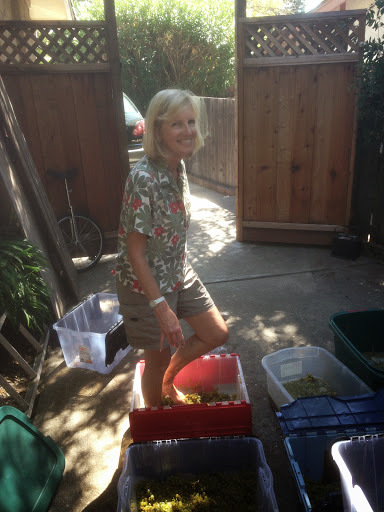 So how much wine/juice do you get from 650lbs? It filled our stainless steel tank about 2/3 full. And BOY were there lessons learned in year #1. 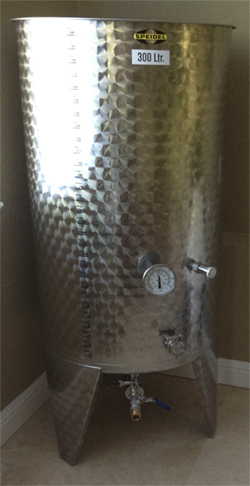 The Safari Creek fermentation tank was officially named the "SILO"!!! 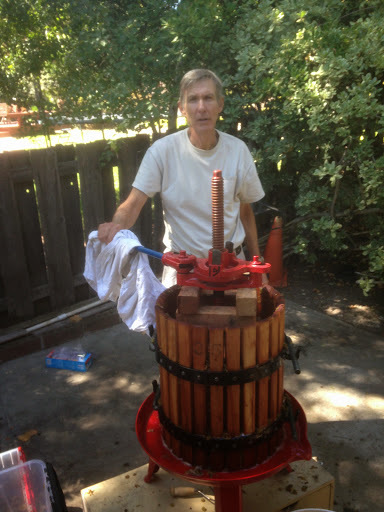 Which must be visited many times during the aging process to determine WHEN the wine is ready to be bottled. Unfortunately we did learn that too much testing does greatly reduce the amount of bottling that had to be done. Lesson learned......need more grapes!!! !